ActiveTrail provides all the necessary tools to ensure compliance with the various international anti-spam regulations, including double opt-in. Every email sent includes a “removal from list” link, CAN SPAM footer and other legal related information. Worried about violating Anti-spam laws? With ActiveTrail you shouldn’t be. Whether you are up to date with recent Anti-spam laws and are worried about accidentally violating them, or you just don’t want to waste your time learning all the different laws, here at ActiveTrail, we guarantee that you won’t be violating any laws. In the past few years, many countries have introduced new laws regarding spam. These laws include advertising via email, fax and SMS messages, and state that no advertising may be sent without the recipient’s consent. The sender is required to identify himself and add a link which removes the recipient from the recipients list so that no more advertising is sent to that client. Create two autoresponders – a sign up form and a confirmation email. That way you can filter your mailing list and improve the quality of your recipients. In order to make sure that you aren’t violating Anti-spam laws, you have to make sure that clients approve their addition to the recipients list. The best way to achieve this is by having new clients fill out a sign-up form using API’s or WordPress based sites. 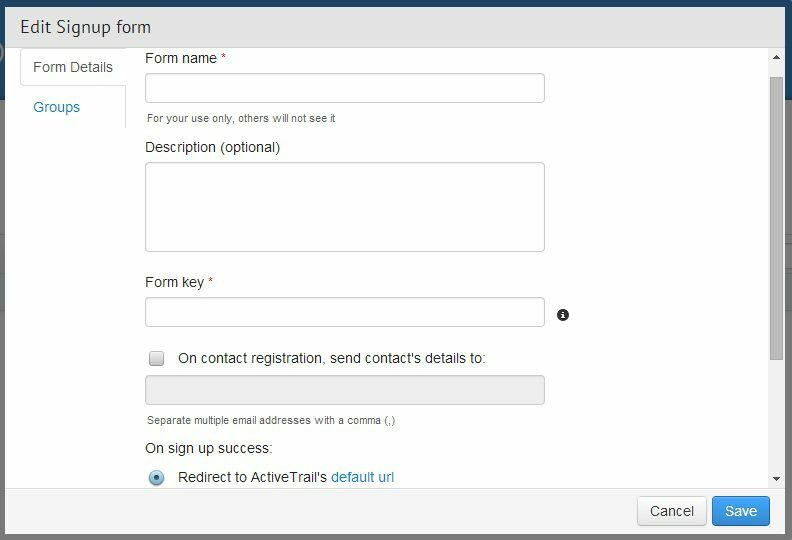 The sign-up form can easily be created in the ActiveTrail system. Every email that you send using ActiveTrail will automatically contain an “Unsubscribe” link at the bottom. The system provides statistics regarding recipients who chose to unsubscribe so you can easily follow up on them. According to Anti-spam law, the senders must identify themselves and add an address where they can be reached. At ActiveTrail we want to make sure that Anti-spam laws aren’t violated so the system automatically adds your contact information to any email you send. Start using ActiveTrail and never violate a Anti-spam law again.